This was a fun and simple card to make. Each balloon is cut out with detail scissors. 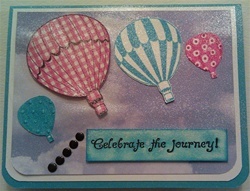 The pink gingham balloon is popped up with 3D foam squares to give it dimension. 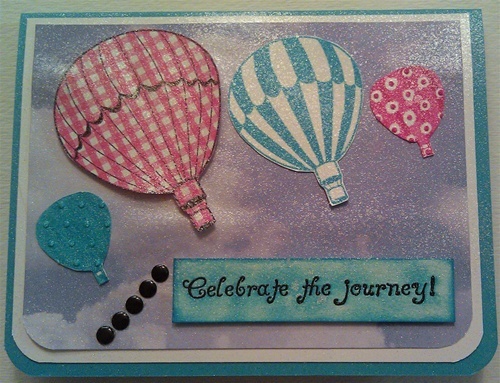 I've never had any hot air balloon stamps, so I was happy to make a card that featured them. About 10 miles from where I live you can see them setting off into the sky every now and then. It is quite a sight!